This is a helmet for the larger head size. It has in-molding construction, 16 vents, soft anti-allergic washable pads, locakble side strap dividers and an anti-pinch buckle. 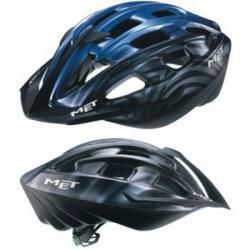 It also has a Safe-T Lite, removable peak and reflective stickers.